The 2018 Ryder Cup at Le Golf National was a spectacular showcase event for the game in France, which has become an increasingly popular European destination for golfers in the UK and across the continent, who value the accessibility, quality of courses and depth of hospitality that makes for an unforgettable experience. Renowned as the premier organisation for luxury travel in France, The Barrière Hotel Group possesses the standing as being the finest choice for a European golf trip. This acclaimed chain features striking hotels in the most popular golf regions of France, including Le Touquet, Paris and Loire Valley, providing an appealing stage of tremendous accommodation and leisure facilities for golfers seeking a base to sample the courses and attractions in each area. Additionally, The Barrière has recently ventured into Marrakech, offering a five-star level of service at the incredible Assoufid golf course. We look at the flagship venues under the banner of The Barrière. 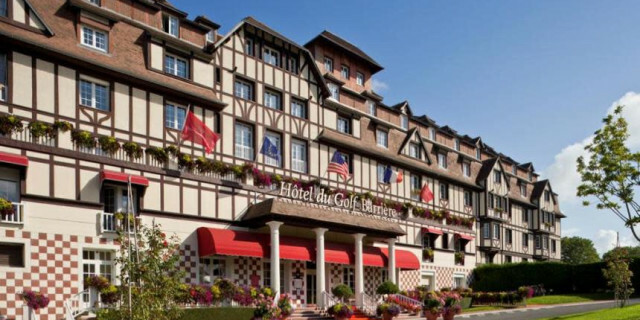 Hotel Barrière L'Hôtel du Golf Deauville is a gem of Normandy, just 45 minutes from Caen and three hours from Calais, featuring striking Norman architecture and expansive views across the surrounding area. Including 169 spacious and well-furnished rooms, there is something for everyone, with additional facilities boasting a restaurant, leisure centre and superb bar, which has contributed to this being a hugely popular venue with visitors. 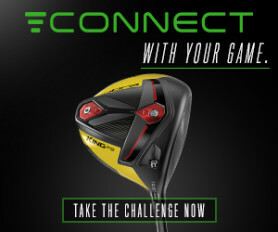 When it comes to the golf, there is much to choose from. The onsite Golf de Deauville is a renowned Tom Simpson design, but elsewhere you can experience the likes of Golf de Saint-Julien, Champ de Bataille and the celebrated Golf d'Omaha Beach, providing an appetising taste of what this beautiful region has to offer. 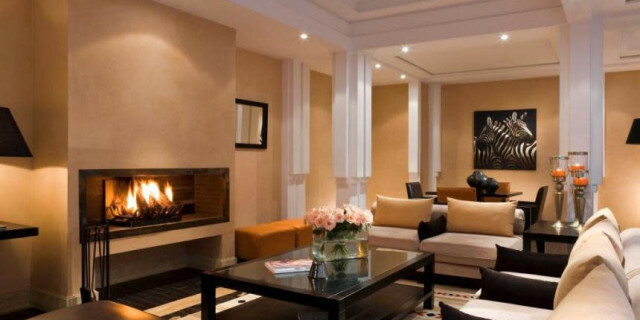 This large hotel is ideally positioned just 15 miles north of Paris in Enghien-les-Bains, Ile-de-France, only a 20 minute train journey away from the nation's iconic capital city. Providing modern rooms, the building overlooks the tranquil Enghien lake, making this a relaxing spot for a break, complemented by the fantastic onsite restaurant and bar, not to mention the new SPARK Spa that is a recent addition to this memorable venue. 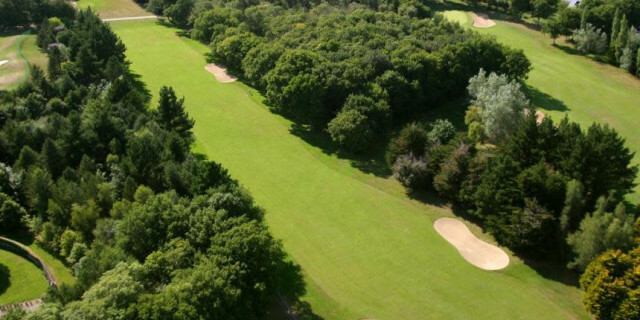 For golfers, the nearby courses include Golf de l'Isle Adam, Mont-Griffon Les Lacs, Golf de Domont-Montmorency, while you are only a short distance away from Le Golf National, venue of the 2018 Ryder Cup, which has become one of the most highly rated and famous layouts on the continent. Grand, welcoming and comfortable, this is one of the most popular hotels in the Loire Valley, sitting just outside the town of La Baule, near the city of Nantes, overlooking the Bay from what is a spectacular location in western France. Taking a closer look at the venue, which boasts a selection of 207 bedrooms, a heated outdoor swimming pool, a pair of restaurants and luxury spa, you could happily stay on the property throughout your stay. 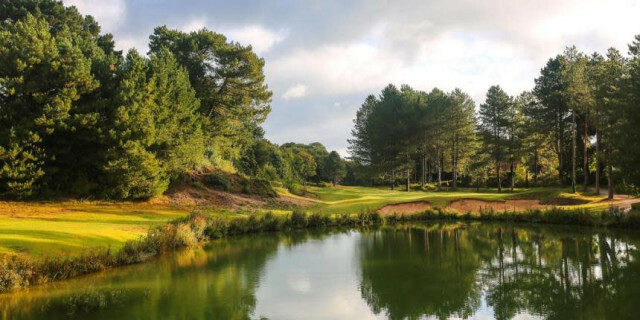 However, if you wish to venture outside - and it's to be recommended - there is a vast range of golf to be enjoyed in the region, the closest example being the 36 holes at Golf International Barriere La Baule. The likes of Golf International de La Bretesche and Golf de Nantes can also be experienced as part of a break to La Baule. Steeped in history, this elegant hotel in the north of France features 115 rooms that take advantage of the venue's 1920s grandeur and charm. 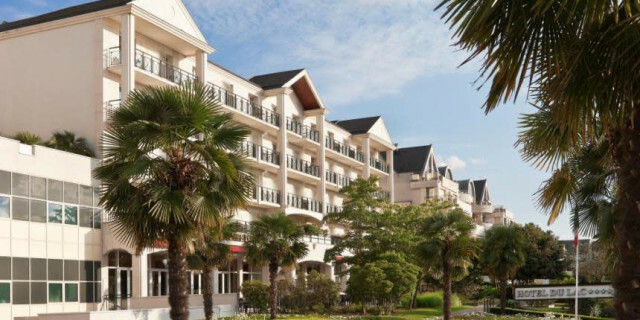 Located in Le Touquet town centre, Pas-de-Calais, just 45 minutes south of Calais, it's a wonderfully accessible spot for visitors coming from the UK, potentially for couples who will value the luxury spa and leisure facilities. But this is also a gateway to visit some of the finest golf in Europe, notably Golf du Touquet, the two at Golf d’Hardelot and the fantastic Golf de Belle Dune, which have only recently noted dramatically increasing numbers of visiting golfers, who have relished the chance to play visually striking layouts that leave a genuinely lasting impression and are perhaps the best showcase of what the nation has to offer golfers. The hilly, picturesque peninsula of Brittany is a celebrated destination for holidaymakers, and there is much to enjoy if you're a golfer too. 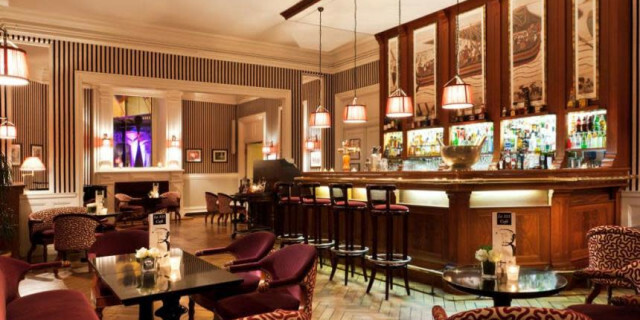 Dinard is known for its beaches, and Le Grand Hotel is the ideal base to experience the town and wider region, providing a luxury, elegant accommodation with modern leisure facilities. Just 30 minutes from the beaches, casino and local attractions, there is much to see. When it comes to the restaurants, Les Terrasses du 333 Café serves light salads and sandwiches on an open terrace looking out towards the sea, while The Blue is a more formal establishment, offering a wide variety of cuisine, in addition to featuring those spectacular views into the horizon. For golfers, there is the heritage of the classic links of Dinard Golf, which is the second oldest golf course in France. Nearby, and within an hour's drive, there are the likes of Golf de St Malo and Golf des Ormes, in addition to many others jewels to be uncovered. Marrakech has become a noted destination for golfers, and Hôtel & Ryads Barrière Le Naoura is a great way to see why. Merely a ten minute drive from the International Airport, this venue couldn't be more ideally positioned, consisting of 79 rooms and seven suites to provide a comfortable and luxurious stay. Twenty six Ryads are also available in different sizes, each complete with their own kitchen, lounges, terrace and pool. Additional facilities include a spa and a wide range of restaurants, which serve local Moroccan and Parisian cuisine, not to mention international dishes for those inclined. When it comes to the golf, nearby layouts include Palmeraie Golf Club, Marrakech Royal Golf Club, Amelkis Golf Club and Samanah Golf Club, ensuring that you're time in Marrakech is an unforgettable one. For more on The Barrière Hotel Group and the above destinations, visit Golfbreaks.com or The Barrière Hotel Group.